Not only did Christian Louboutin create a beautiful book of his best works to commemorate his 20 remarkable years in the land of red leather soles, he is also trotting the globe to celebrate with his diehard fans. Lucky for us, he made a stop in Shanghai (only a 2 hour flight away). Even more lucky for us, our dear friend Kara got us on the list! 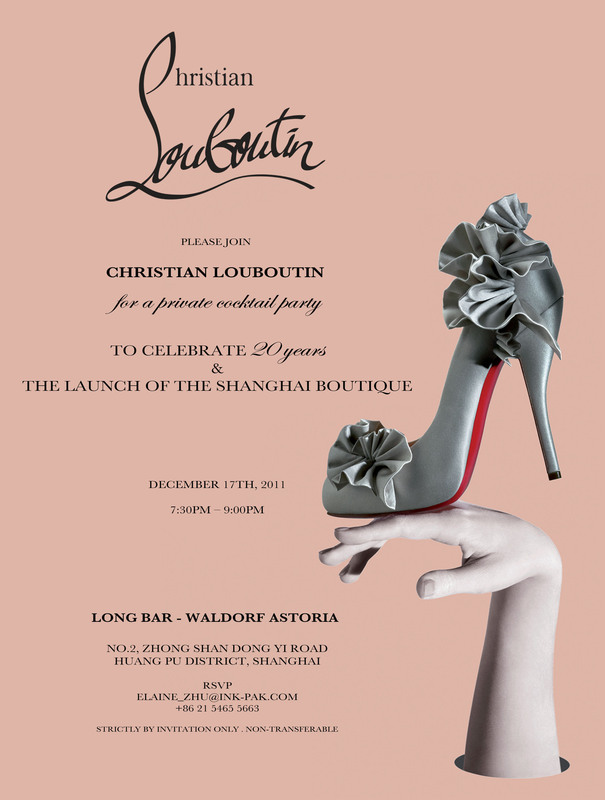 Brett and I decided to make a nice little weekend it out of it, and since the cocktail party for CL happened to be at the Long Bar at the Waldorf Astoria on the Bund… it seemed that we should book a room for ourselves there as well! I am so glad that we did. It was the perfect little retreat from China…I mean Beijing. You see – Shanghai is China Light. Actually, it is China Extra Light and at this time year, at Christmas, when we miss our families and the city that never sleeps, we crave little reminders. 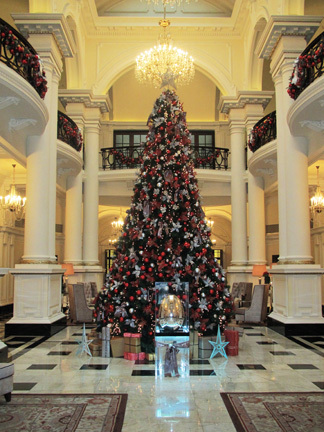 With it’s perfectly decorated tree, an outpost of The Peacock Alley Lounge, and a service level that puts Tokyo to shame – the Waldorf Astoria Shanghai on the Bund was just what the non-chinese medicine doctor ordered. We arrived at the hotel around 4PM which left plenty of time for enjoying the view of the city while munching on an authentic reuben with home fries before the pre-party primping began. By 7:30 we were on the elevator heading down to the Long Bar to meet Mr. Red Sole himself. It was as if the party had been taken from the pages of his book. Special edition and collector pieces graced the feet of almost every female guest. I have never looked down so much at a party before! 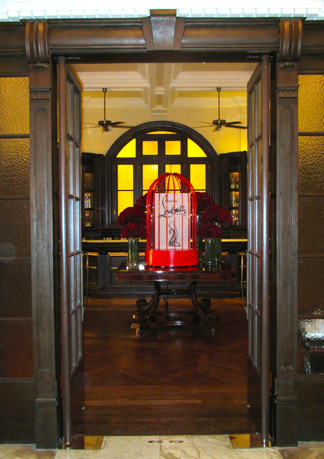 Entrance to the Long Bar with the signature Christian Louboutin bird-cage. The entire bar was filled with them. So cute! The Man of the Hour - Christian Louboutin and Me. Congratulations CL on 20 impressive and over-the-top years. Spinning some tunes with the DJ! Isn't he pretty? That's right...all the way from Thailand, this beautiful boy puts most ladies to shame. You should have seen him dressed and performing as Rihanna. Gorgeous! 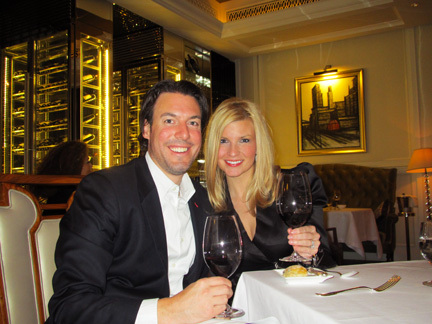 After the party, we walked across the lobby to Pelham's for their delectable tasting menu. From 4 courses to 12, and any number in between, you can create your own tasting experience. These bellies only allowed for 4! 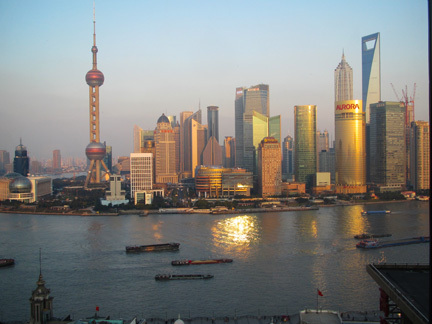 View of the Shanghai skyline from our room. 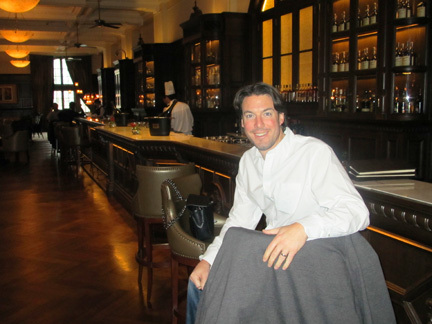 We decided to enjoy a proper bloody mary back at the Long Bar before heading to the airport on Sunday. It really is a LONG bar...right? 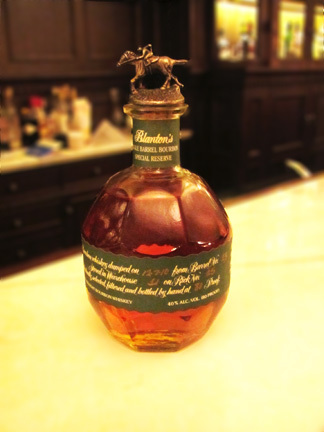 And then we discovered this special edition Blanton's. As a Kentucky girl...I had to try it! Obviously, Brett didn't make me drink alone.